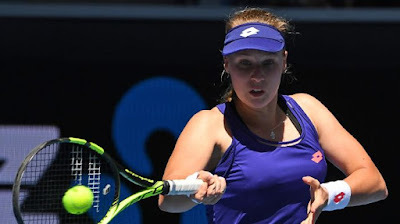 Blinkova has had a good season on hard courts with her win-loss record reading 8-3 compared to Bondarenko’s 15-14 and she will see this as an opportunity to get some ranking points towards the end of the season and she will put a lot of pressure on Bondarenko’s serve with her aggressive return game. Sabalenka leads the head to head 1-0. Rodina can struggle on hard courts due to her lack of power. Sabalenka has an impressive 56-21 record on hard courts this season and her job now is to try to transfer that across to the main circuit. Maria leads the head to head 1-0. Diatchenko is the better player on hard courts 14-4 win-loss record this season compared to Maria’s 7-13 win-loss record. Davis leads the head to head 1-0. Petkovic has struggled this season as shown by her 10-11 win-loss record compared to Davis 16-10. Davis will be too consistent for Petkovic here. Niculescu leads the head to head 2-1 winning both their meetings on hard courts. Bertens has really struggled on hard courts this year with a 4-11 win-loss record compared to Niculescu’s 12-8. Bertens has lost her last four and looked woefully out of form and lacking in confidence. Wang leads the head to head 1-0, I expect Stephens to struggle for the rest of this season after her victory at the US Open and will look to oppose her whenever I can. Zhang leads the head to head 3-1. Vekic has been in excellent form this year and she has risen back up to the top 50. She should not be over 2-1 to win this game, Zhang is a decent player and it should be a close game but if Vekic’s serve works well then she will be very difficult to beat here.